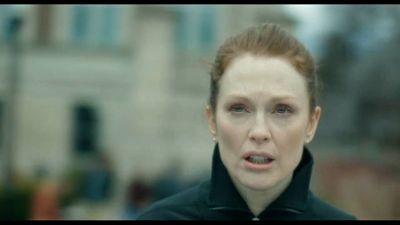 Julianne Moore (Safe) won an Academy Award for her role as a linguistics professor who’s diagnosed with early-onset Alzheimer’s disease in the emotional 2014 drama Still Alice. Dr. Alice Howland, happily married with three grown children, is a renowned linguistics professor who starts to forget words. When she receives a diagnosis of early-onset Alzheimer’s disease, Alice and her family find their bonds thoroughly tested. Alice struggles to stay connected to who she once as the disease progresses and she begins to deteriorate. Directed by the independent filmmaking team Richard Glatzer & Wash Westmoreland (The Last of Robin Hood), Still Alice also stars Alec Baldwin as Alice’s husband and Kristen Stewart (On the Road), Kate Bosworth (Straw Dogs) and Hunter Parrish (Paper Man) as their children.